Organizers announced today that the Army Ten-Miler (ATM) officially sold out on June 5, 2017, having reached its 35,000-runner field cap. This year’s ATM takes place on Sunday, Oct. 8, 2017 beginning at 8:00 AM EDT, at the Pentagon. Runners who missed general registration presented by General Dynamics can still attempt to gain entry to this year’s race via the ATM Online Transfer Program, which is open from June 14 through August 25, 2017. Registered runners (sellers) can link up with buyers and transfer their registrations through a secure online form at ArmyTenMiler.com. 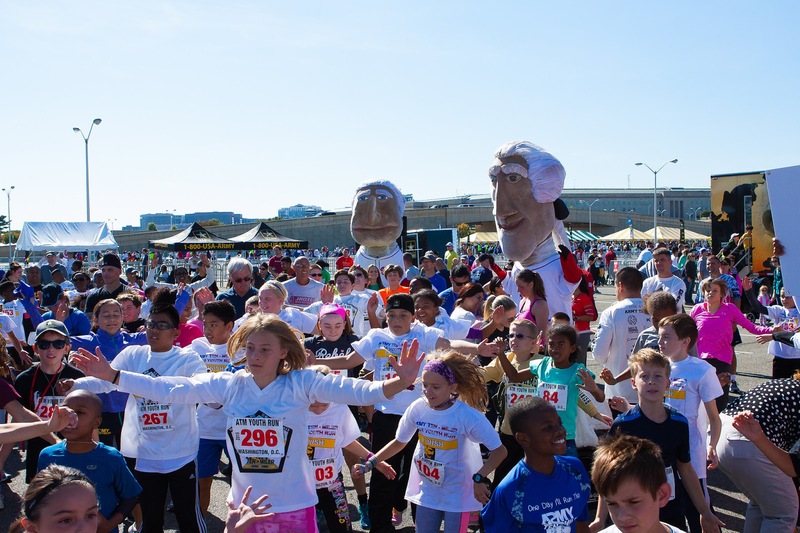 Fans are encouraged to attend and cheer on the runners using colorful banners, signs and flags to show their support along the ATM race course, which provides scenic views throughout the Nation’s Capital. Nearly 600 teams competed in 2016 with representatives hailing from all 50 states, the District of Columbia and 20 different countries. As one of the premier races in the country, the Army’s race provides inspiration to both military and civilian competitors, many of whom run in honor of a family member or colleague who served, or who simply enjoy demonstrating their patriotic spirit and support for the Army. • Army Major Kelly Calway, 1st place for Female Military Overall in 2016, as well as 3rd place for Female Overall. • Perry Shoemaker, who has claimed four straight Master Female medals, hopes to make it five this year. She was also 2nd place Female Overall last year. • Hunter Jutras, running as part of a family team honoring his fallen brother, took 1st place in the Male 15-19 Division. The family will return for the 2017 ATM. • Members from the All-Army Team, which swept the top five spots in the men’s overall competition last year, winning their third straight ATM International Cup. While the team members vary from year-to-year, the goal to finish at the top remains unchanged! • A Junior ROTC team from Alabama, demonstrating the growing trend toward younger people becoming involved in running. In addition to participating in the ATM, the team will pay its respects at Arlington National Ceremony to an alumnus who was killed in action. ATM registration contractor MarathonGuide.com executed two successful official registration sessions: the May 10 priority registration presented by Navy Federal Credit Union (closed on May 10 at 2:00PM EDT) and general registration presented by General Dynamics. For the latest news and information via social media, follow the ATM and post using #RunArmyRunStrong at Facebook.com/armytenmiler and @ArmyTenMilerATM on Twitter. The Army Ten-Miler is scheduled for Sunday, Oct. 8, 2017 at 8:00 AM EDT in Washington, DC. Conducted by The U.S. Army Military District of Washington (MDW), the Army’s race is the third largest 10-mile road race in the world. 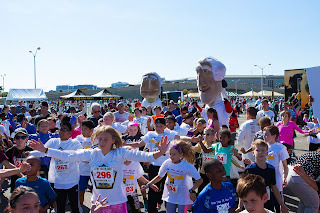 The ATM starts and finishes at the Pentagon with a course that winds through Washington, DC. All race proceeds benefit Soldiers and Soldier Family MWR Programs.